I was so honored to spend the afternoon with these two. 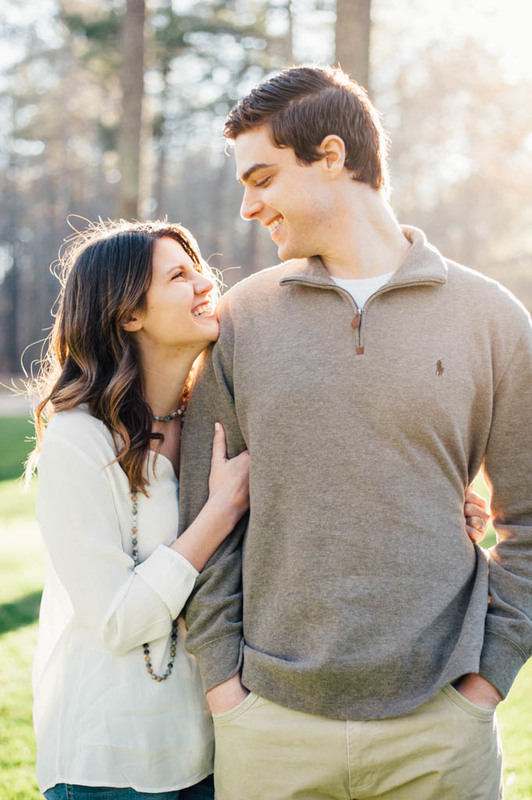 Jordan and Tyler were so much fun to work with and I couldn't get over how much they adored one another! Every photo I took, you could see how much they cared for each other. That is why I love what I do! I get to capture pure, real moments like these. Congrats Jordan and Tyler on your engagement!! The moment I met this sweet couple, it was like we had known each other for years ... I love it when that happens! We had the best time finding spots to capture some magic around downtown Birmingham. The golden hour lighting and these two rockin it definitely didn't disappoint! Want me to shoot your wedding or engagement? I don't know about these two, but I had the best day ever shooting their engagement session! They had me laughing the whole time and my favorite part was getting to see the how much love they have for each other. Thomas treats Tommi like the best thing thats walked the earth (isn't that how it should always be?) and Tommi's love for her husband-to-be was something I couldn't wait to share through these photos. My sister in law is going to make one heck of a bride and I cant wait to stand by her side! Bring it on December 10th were ready for ya! Want me to shoot your wedding or engagement!